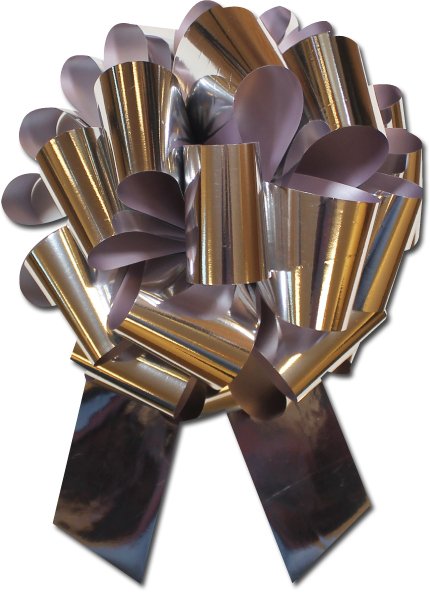 Our elegant metallic pull bows are shipped to you flat and come to life when you pull the string in the package, which transforms them into an elegant bow. 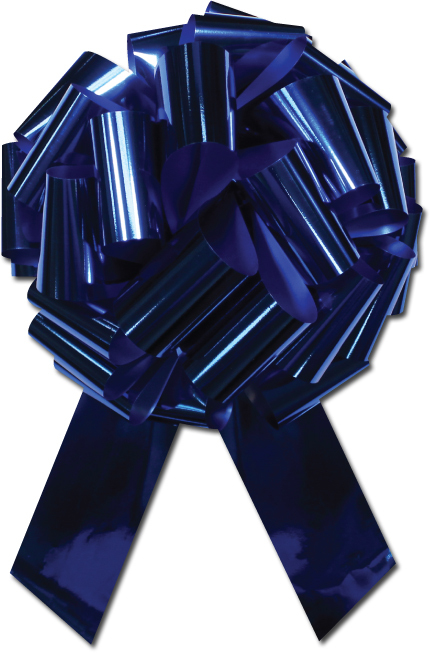 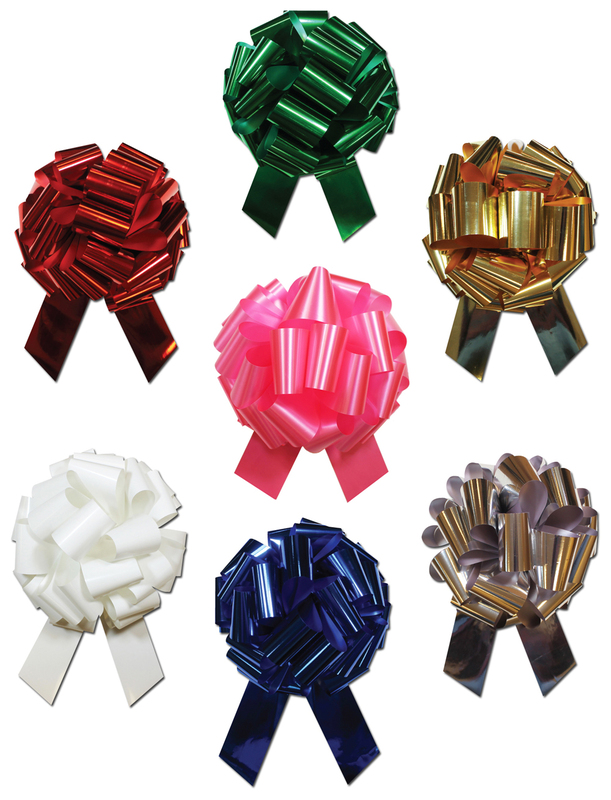 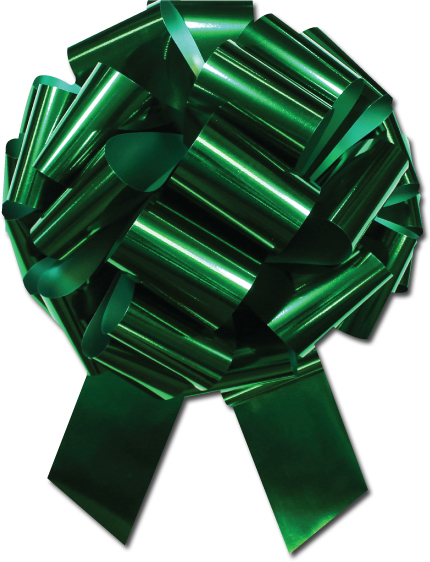 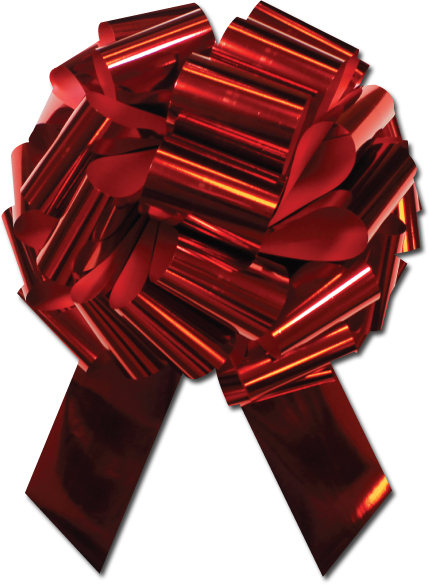 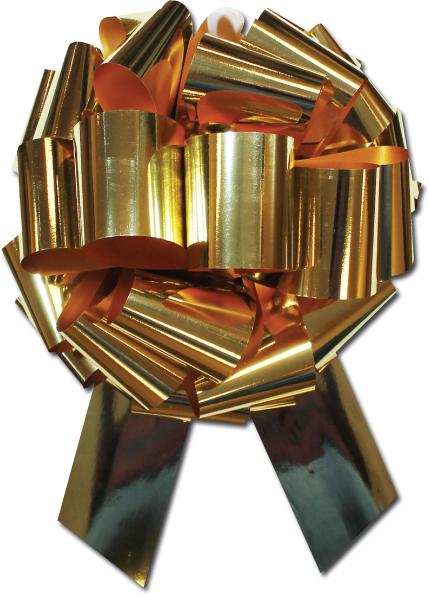 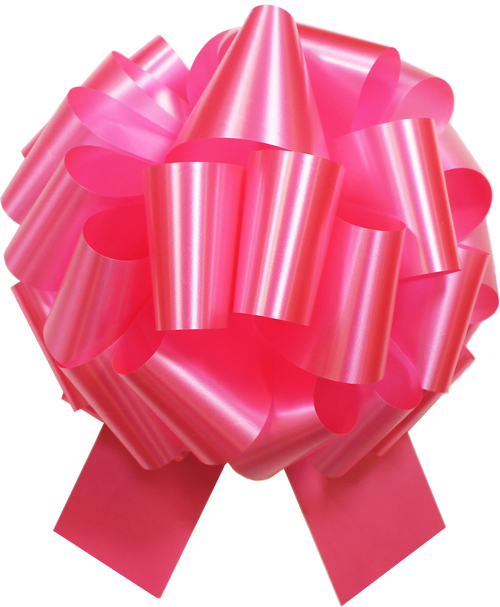 These bows can be used for windshields on cars, but are also popular for store displays and large gifts. 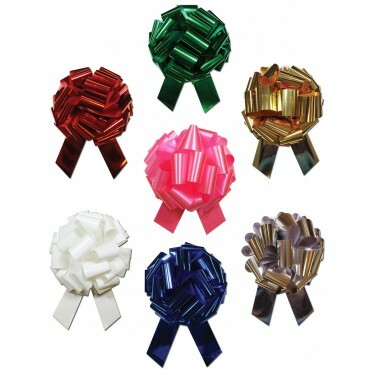 Since they are so inexpensive, they are an excellent choice when you need to purchase a lot of bows. 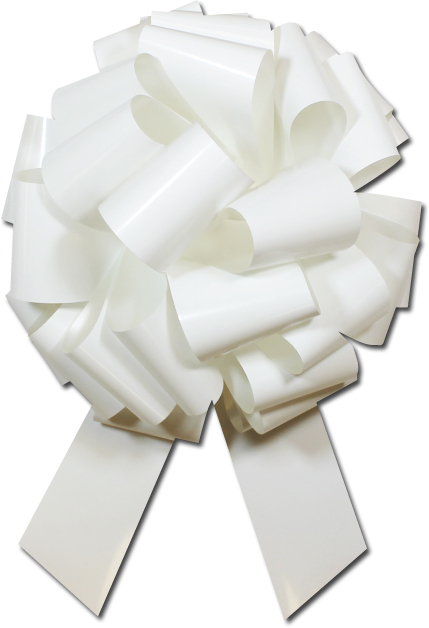 Each bow comes with a suction cup to easily secure it to any smooth surface.